It occurred to me that the time frame for an epidemic to occur is absolutely critical in determining public response. If rates of a disease went from 1 in 10 people to 1 in 3 people in only 10 years, there would be public outcry for scientists to determine the cause and to find a cure quickly. If the disease caused debilitating metabolic effects such as very high blood pressure that resulted in heart attacks or strokes and people of all ages were getting this disease, with many dying – the outcry would be even more urgent. But what if rates of the same disease went from 1 in 10 people to 1 in 3 people over a period of 40 or 50 years? The current generation would have no recollection of what it was like ‘before’ because things had always been this way since they were kids. The older generation would remember what it was like ‘before’ and concluding that for whatever reason, that is the way it is now. Doctors and scientists of the older generation that might be able to apply their knowledge and skill to find the cause and a cure would be at the end of their working lives. Debilitating metabolic side effects of obesity include very high blood pressure that can lead to heart attacks and strokes and Type 2 Diabetes which can result in blindness, amputations and organ failure. Once a rare disease, obesity has now reached epidemic proportions and the metabolic side effects are not just for the old, but are rampant among youth and young adults. This disease epidemic has taken place over 50 years but few are noticing because it has fallen between the cracks of time. Photographs and videos of what people looked like fifty years ago are widely available, and a simple Google search will provide an abundance of them. Movies, documentaries and TV shows from the mid-1960s also provide a glimpse of what the average American and average Canadian looked like then. In the 1960s only 10.7% of the US population and 10.2% of the Canadian population were obese; that’s approximately 1 in 10 people. Below is a US sorority photo of a Sigma Iota Chi chapter from West Virginia from 1967. Look how slim most of the women are compared to today’s young adults. West Virginia now has one of the highest adult obesity rate in the US. 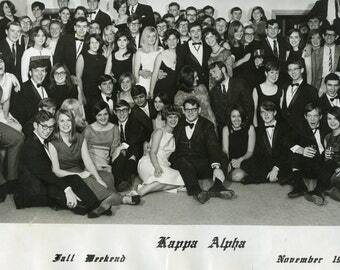 To the left is another photo from a 1967 Fraternity party at Cornell University. For the most part, the young men and their girlfriends are slim and lean – certainly much slimmer than university students today. 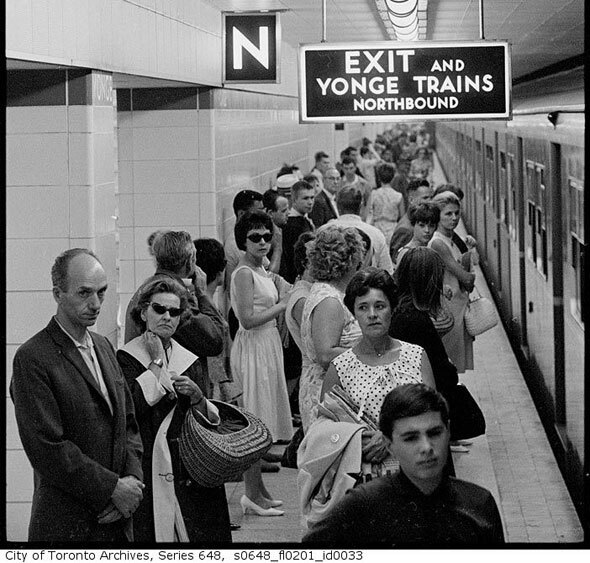 Below is what the average city-dwelling Canadian looked like in 1967, riding the subway in Toronto. Young adults, middle aged adults and older people were very slim compared to today’s standards – especially when compared to what the average public transit rider looks like today. Most recent international data from 2015 found that 38.2% of the US population and 25.8% of the Canadian population are obese; that’s more than 1 in 3 people in the US and more than 1 in 4 people in Canada . When one compares what university students looked above to what they look like now in a current photo of Fraternities and Sororities below, the difference in average body weight of the students from 50 years ago to today is quite apparent – despite the fact that university students come from families where the average family income is significantly higher than the national average. Given this, their higher body weights cannot be dismissed due to low income, socioeconomic status or lack of education. So what is going on? 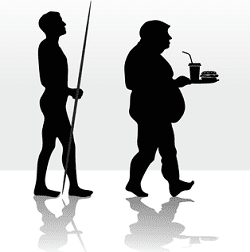 What changed in the last 50 years that contributed to this obesity epidemic? As written about in a previous article, in 1967 (fifty years ago) the sugar industry paid three Harvard researchers (Stare, Hegsted and McGandy) very handsomely to critique studies that vindicated sugar as contributing to abnormal fat metabolism and heart disease, and who instead laid the blame on dietary fat, and in particular saturated fat and dietary cholesterol [2,3]. These researchers who were sponsored by the sugar industry concluded that there was “major evidence” which suggested that there was only ONE avenue for diet to contribute to hardening of the arteries and the development of heart disease – and that was dietary fat and cholesterol…yet only a year later in 1968, the Diet-Heart Review Panel of the National Heart Institute recommended that a major study be conducted to determine whether changes in dietary fat intake prevented heart disease – because such a study had not yet been done . 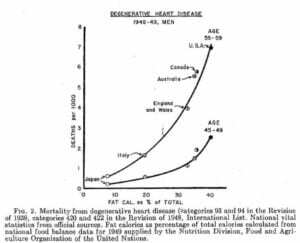 No major study had yet been done to find out whether changing the types of fat we ate prevented heart disease, yet these researchers were SO certain that there was “only one avenue” for diet to contribute to hardening of the arteries and the development of heart disease. How much was their certainly impacted by their sponsors? Their influence didn’t end there. Only ten years later, one of the three Harvard researchers (Hegsted) was directly involved with developing and editing the 1977 US Dietary Guidelines  which recommended a decrease in saturated fat and cholesterol consumption, and an increase in dietary carbohydrate. While Canadian Dietary Guidelines are distinct from the US ones, much of the research on which they are based is the same. Comparing the US to Canadian dietary recommendations with respect to the consumption of fat in general, as well as the consumption of saturated fat in particular, one finds the recommendations mirror each other. We are told to limit saturated fat ostensibly because of its negative impact on blood cholesterol and heart disease. We are told to increase consumption of vegetable oils, and to substitute polyunsaturated fats for saturated fat in cooking and baking and to eat 45-65% of our daily calories as carbohydrate. It is increasingly my conviction that the simultaneous (1) marketing of polyunsaturated vegetable oil – more accurately called industrially-created seed oils, such as soybean oil and canola oil, along with (2) changes in the Dietary Recommendations in both Canada and the US for people to (a) limit calories from fat and especially to (b) limit saturated fat, combined with the recommendations for people to (c) eat 45-65% of calories as carbohydrate created the “perfect storm” that when viewed together, explains the obesity epidemic we now have and the associated increase in metabolic health problems that we now see 50 years later. I will be writing more in the days ahead on what is thought to be the role of these industrially-created seed oils in the process of obesity and inflammation that underlies many metabolic conditions, including Type 2 Diabetes. Why isn’t the public alarmed by this massive increase in obesity? I believe it’s because it took place over such a long period of time that those old enough to remember what things were like before have either died or are approaching retirement age and have left its solution to the next generation, and those young enough to do something about it have never known it any other way. 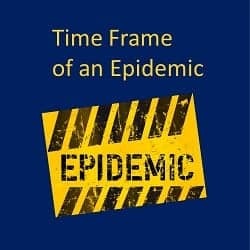 I think that looking at the magnitude of the epidemic without the time frame is helpful. What if only 10 years ago, only 1 in 10 people were obese and now 1 in 3 people were obese? Would there not be a public outcry for scientists to determine what caused this and to research to find a cure quickly? Obesity underlies debilitating metabolic effects such as very high blood pressure that can lead to heart attacks and strokes and people of all ages are getting this disease – including children and teenagers. Obesity underlies the huge increase in Type 2 Diabetes and when poorly managed can result in blindness, limb amputation and organ failure. People of all ages are dying from these metabolic effects of these disease, which at present are mainly being managed through medication and advising people to “eat less and move more”. Is that the best we can do to curb this epidemic? As covered in previous articles, there are peer-reviewed published studies – some a year or two long, that demonstrate that these metabolic effects can be put into remission by eating a diet with less carbohydrates – yet government-funded research into use of this is not a priority. What role does the sugar industry and the corn-producers (that manufacturer high fructose corn syrup found in much of our packaged food) play? What role do the grain boards (that market wheat and other grains for baked goods) play? What about the soybean and canola growers – multi-billion dollar a year industries in both countries that grows the soybeans and canola seed that are processed into fats sold to consumers for cooking and baking? 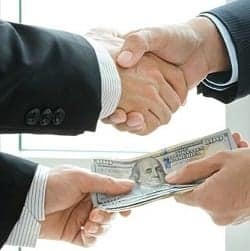 These industries and their respective lobby groups play an influential role in the economies of both Canada and the United States and in that way (and others) influence what types of research should be funded. There is an epidemic going on and people are living with terrible metabolic consequences of them or dying from them. Before the Dietary Guidelines are updated in both countries, the governments of Canada and the US must approve external, independent scientific review of the evidence-base for the existing dietary recommendation as well as examine the evidence-base for use of a well- designed low carbohydrate diet in reducing obesity and managing the debilitating metabolic effects. The length of time since the obesity epidemic began does not make this any less urgent. Do you have questions about how I can help you in tackling obesity and lowering or putting metabolic side effects into remission? Kearns C, Schmidt LA, Glantz SA, et al. Sugar Industry and Coronary Heart Disease Research: A Historical Analysis of Internal Industry Documents. JAMA Intern Med. 2016 Nov 01; 176(11):1680-1685. Husten, L, How Sweet: Sugar Industry Made Fat the Villain, Cardio|Brief, 2016 Sept 13. 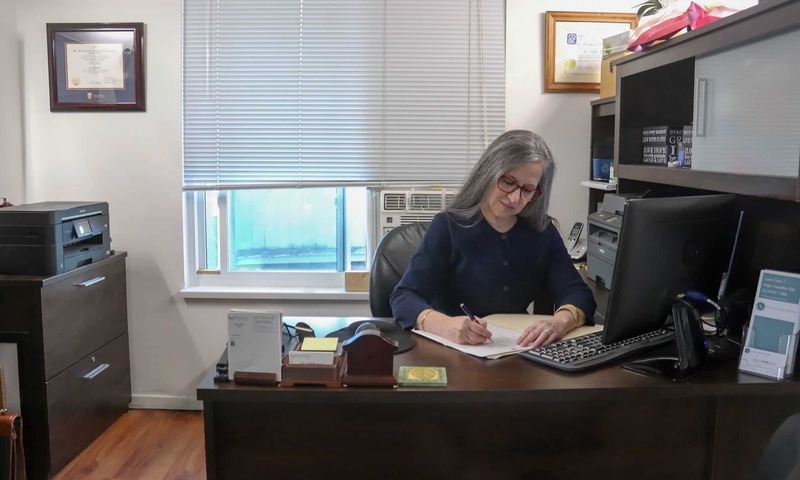 I provide both in-person and Distance Consultation services (via telephone or Skype) can help you learn a better and easier way to eat, while you achieve and maintain a healthy body weight long term. Krimsky, S. Sugar Industry Science and Heart Disease, Accountability in Research. 2017 Oct 07; 24:2, 124-125. This article is Part II in a series titled The Role of Protein in the Diet and looks at macronutrients in our diet from an evolutionary perspective. Over the course of man’s existence, there have been a number of major shifts in the human diet and with that change, came the necessity of the body to adapt by producing enzymes capable of digesting and absorbing nutrients from these novel foods. This required the human genome (our genes) to adapt, evolve and change . This takes time. In the ~4.4 million span of mankind’s existence, solid evidence for use of human-controlled fires, which would have given us the ability to cook our meat is only about 800,000 years old  with less certain sites dating back 1,500,000 years [3,4]. The origin of domestication of animals is considered to be ~10,000 – 12,000 years and represent another relatively recent shift in the human diet , moving mankind from a hunting and gathering species, to an agricultural one. With this shift came the need to domesticate crops, which dramatically changed the human diet. The innovation of human agriculture greatly reduced diversity in the human diet. Instead of ‘food’ being what hunter-gatherers were able to find, ‘food’ was what each group grew and raised. Of even more significance, it is estimated that 50%–70% of calories in the agricultural diet are from starch (carbohydrates) alone . 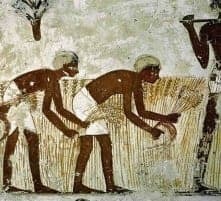 The advent of animal domestication and an agricultural diet may also resulted in an over-abundance of starch-based calories, which exceeded growth and energetic requirements . The remainder of this article is based largely on a lecture given by Dr. Donald Layman, PhD – Professor Emeritus from the University of Illinois (Nutrition Forum, June 23, 2013, Vancouver, British Columbia, Canada). Looking at it from the perspective of man’s evolutionary history, the appearance of cereal grains is very recent. Cereal grains as food were non-existent in the evolutionary diet. Same with legumes, such as chickpeas and lentils. These too were non-existent in the evolutionary diet. Refined sugar (made up of sucrose) was also non-existent in the evolutionary diet. Humans would eat wild fruit (fructose) and on the rare occasion when available they would eat honey (half glucose, half fructose), but this idea of a diet centering around sucrose and fructose was simply non-existent. Consumption of dairy products and alcohol are also very recent in terms of human history. We didn’t milk wild animals, we ate them. Fermentation of fruit for wine is also very recent in terms of the evolutionary diet. Our body did not evolve to see cereal grain, legumes, refined sugar, plant oils, dairy foods and alcohol and with the exception of plant oils, all of these are very rich in carbohydrate. We are exposed to carbohydrate in a way that were never evolved to see. Our bodies developed metabolism patterns around our dietary intake of protein and fat. We have very extensive and elaborate pattern for handling protein; for digesting and metabolizing it. We also have developed a very high ‘satiety’ (feeling full) to protein, such that we simply won’t over eat it. It is the only macronutrient that provides sufficiently strong feedback such that we can’t over eat it. Fat, contrary to common belief is a very passive nutrient. It has very little direct effect on our body. We store it effectively and this ability to store excess intake as fat is what enabled us to survive as hunter-gatherers. The macronutrient that is at odds in this picture is carbohydrate. We have very little evolutionary exposure to carbs; in fact the body responds to it has if it were highly toxic. Carbs have to be rapidly cleared after we eat it because our body must maintain our blood sugar within a very narrow range between 3.3-5.5 mmol/L (60-100 mg/dl). When we eat carbohydrate, the body breaks it down to simple sugar (glucose) and insulin takes the extra sugar out of the blood and moves it into cells. Our only mechanism to protect us from carbohydrate is insulin. The problem is, when we eat carbohydrates every few hours, the ability for insulin to respond becomes overwhelmed. We have a biological system for handling carbohydrate and the traditional teaching is that carbs are handled in the muscle, which is true if one exercises 2-3 hours per day. When were were hunter-gatherers and we came across a bee hive, for instance or a fruit tree in season, our muscle was able to process the short spike in glucose load because we were very active. The average North American or European is not typically exercising that much, with ~75% considered sedentary (inactive). So where are those carbs going? They’re going to body fat. Carbohydrate regulation is very important to think about. Carbs are among some of the most regulated substances in the body. Blood sugar is controlled and kept within an extremely tight range between 3.3-5.5 mmol/L (60-100 mg/dl). If we don’t burn off the 30 gm of carbs (equivalent to ~ 6 tsp of sugar) we ate for breakfast by the time we have a fruit mid-morning (another 15 gm of carbs / equivalent to 3 tsp of sugar), we have to store the carbs somewhere. Comes lunch, most people eat another 30 – 45 gm of carbs (~6 – 9 tsp of sugar) if they’re eating a lunch brought from home and even more than that if eating out at the food court. Maybe another fruit is eaten mid-afternoon, and without realizing it, people have consumed the equivalent of 24 tsp of more of sugar, eating what they’ve believed is a healthy diet. As explained in a previous post, the blood can only have at most the equivalent of ~ 1 tsp of sugar in it at any one time, so where does all the sugar go? It goes to fat stores. To synthesize the excess sugar into fat, the glucose (sugar) comes into the liver and is synthesized into free fatty acids. Our body is constantly pulling out free fatty acids from our fat stores (adipose tissue) when we are sleeping or exercising, for example to use as a fuel source, so the free fatty acids that are coming in from adipose tissue (fat stores) and those that are being synthesized from glucose (the excess carbs we took in our diet) mix in the liver, and are then packaged into very-low-density lipoprotein (VLDL). Think of these VLDL as “taxis” that move cholesterol, triglycerides and other fats around the body. Once these VLDL “taxis” deliver their payload, the triglyceride is stripped out and absorbed into fat cells. The VLDLs shrink and becomes a new, smaller, lipoprotein, which is called Low Density Lipoprotein, or LDL — the so-called ‘bad cholesterol’. The origins of high triglycerides is the beginning of Metabolic Syndrome (also called Syndrome X). This is the point at which the body is getting too many carbs and the system is breaking down. 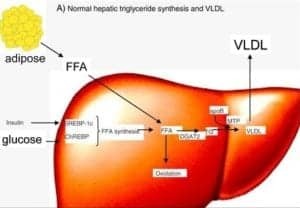 The result is high than normal blood sugar after meals (called post prandial glucose), an increase in free fatty acids, and the increase in triglycerides and these together contribute to fatty liver. These are all symptoms Metabolic Syndrome. If one is eating more than 30 gm of carbohydrates per day then they either need to have very high exercise to account for it, or they’re going to be making fat from it. With an average carb intake of 300 gm per day and 75% of North Americans sedentary, it is easy to see where the problem of excess fat stores comes from. Since our only mechanism for dealing with carbohydrate is insulin, by continually overwhelming the body with a steady supply of glucose – way above the small amount of carbohydrate that our genome has adapted to see, the system fails. This is where the origins of the overweight and obesity statistics elaborated on in the first part in this series (located here). To address this carbohydrate excess, we can lower carbohydrate intake and either raise fat intake or raise protein intake. In Part III of this series, we will shift the focus to the benefits of increasing protein in the diet. Luca F, Perry GH, Di Rienzo A. Evolutionary Adaptations to Dietary Changes. Annual review of nutrition. 2010;30:291-314. doi:10.1146/annurev-nutr-080508-141048. Brain CK, Sillent A. Evidence from the Swartkrans cave for the earliest use of fire. Nature. 1988;336:464–466. Science. 1998 Jul 10; 281(5374):251-3. Copeland L, Blazek J, Salman H, Chiming Tang M. Form and functionality of starch. Food Hydrocolloids. 2009;23:1527–1534. For the past 40 years, the public has come to believe that ‘eating fat made you fat’ and that eating saturated fat caused heart disease. Evidence-based research does not seem to support that having a diet rich in healthy fats – especially monounsaturated fats like from olive and its oil, and avocados, nut and seeds and omega 3 fats from fish causes heart disease. In 1978 in Canada, only 15% of children and adolescents were overweight or obese, yet by 2007 that prevalence almost DOUBLED to 29% of children and adolescents being overweight or obese. By 2011obesity prevalence alone (excluding overweight prevalence) for boys aged 5- to 17 years was 15.1% and for girls was 8.0%. That is where a low carb high healthy fat diet comes in , which supplies adequate, but not excess protein. It enables us to use our own fat stores for energy, and to make our own glucose (for our blood and brain) with ketones (that are naturally produced by our bodies when we sleep, for example) to fuel our cells and organs. Since humans are designed to run on carbs (in times of plenty) and in our fat stores (when food is less plentiful), being in mild ketosis is a normal physiological state. By eating a low carb high fat diet when we’re hungry and delaying eating for short periods, we can mimic the conditions that were common to our ancestors. By eating this way over an extended period of time, we can bring down insulin levels and as a result, decrease the insulin resistance of our cells. We can improve our blood sugar, lower our blood pressure and see our LDL cholesterol and triglycerides come down to normal, healthy levels. Want to know more? Why not send me a note using the Contact Us form located above? In a Low-Carb-High-Healthy-Fat Diet, carbs are not “bad” and fat is not “good”. Carbs and fat that come in nutrient-dense food and in particular ratios are what we are striving for. Introduction: Many people look to Canada’s Food Guide (CFG) as the “measuring stick” as to whether they are eating a healthy diet, but did you know that over the years, CFG has changed dramatically? Canada’s first food guide, the Official Food Rules, was introduced to the public in July 1942. This guide acknowledged wartime food rationing, while endeavoring to prevent nutritional deficiencies and to improve the health of Canadians. Over the years the names of the food groups, the serving sizes and numbers of servings has changed. Serving sizes are now given in ranges; and one has to wonder if these changes have resulted in “over-nutrition”. Changes in Canada’s obesity rates seems to parallel the changes in Canada’s Food Guide which is the topic of this blog. 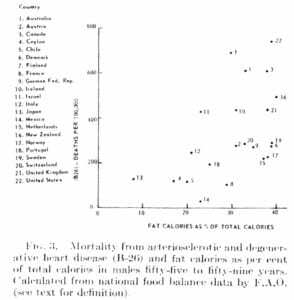 The post-WWII “Canada’s Food Rules” of 1949 emphasized people taking in sufficient nutrients to prevent nutritional deficiency as well as to avoid excess, by stressing that “more is not necessarily better”. In the 1961 version the language softened; with “Guide” replacing “Rules” in the title. Canada’s Food Guide now sought to emphasize its flexibility and wide-ranging application for healthy eating, recognizing that many different dietary patterns could satisfy nutrient needs. Reference: Nutrition Division, National Department of Health and Welfare (1961). Rules out – guide in. Canadian Nutrition Notes, 17(7):49-50 (cited in Health and Welfare Canada. Action towards healthy eating: technical report. 1990). In 1977 Canada’s Food Guide underwent a dramatic revision. There were now four food groups, instead of five, as fruits and vegetables were combined since their nutrient content overlapped and the name of those groups changed, too. The Milk group became Milk and Milk Products, to highlight the inclusion of other dairy foods, Meat and Alternates replaced Meat and Fish allowing for vegetarian choices — but also resulting in the inclusion of things like peanut butter in this category, rather than categorized in the ‘fat’ category as occurs in other systems, such as the Food Exchanges. Most significantly, serving ranges were added. 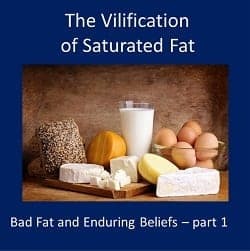 The big focus was on more carbs and less fats (regardless of what the sources of those fats were) — there was no differentiation between lard and olive oil. There was a shift to using low fat dairy products and the beginning of generations of “fat phobic” Canadians began. “Low Fat” products became all the rage. 2 servings Meat and Alternates – (1 serving = 2-3 oz lean cooked meat, fish or poultry or 2 eggs or 1 cup dried cooked legumes or ½ – 1 cup* nuts or seeds). In 1977, there was introduction of a concept of “energy balance”; balancing energy intake with energy output (“calories in / calories out” model) which makes the assumption that basal metabolic rates stays the same. With the goal of reducing diet-related chronic diseases (such as heart disease and high blood pressure), Canada’s Food Guide encouraged Canadians to reduce salt and fat, without distinguishing between sources of fats. In the process, the quantity of all kinds of fat, including healthy monounsaturated fats such as olive oil and nut and seed oil were all reduced. Canada’s Food Guide encouraged Canadians to eat plenty of fruits and vegetables without distinguishing between high fiber, non-starchy vegetables and high carbohydrate starchy vegetables. More on that below. Before 1977, the obesity rate [measured as Body Mass Index (BMI) ≥ 30 kg / m2] of Canadian adults was <10%. Keep that number in mind. It changes considerably over the years as Canada’s Food Guide recommendations changed. A report submitted to Health Canada in 1977 by the Committee on Diet and Cardiovascular Disease advised the government to take action to prevent diet-related chronic diseases such as heart disease and high blood pressure, so the emphasis in the revised 1982 Canada’s Food Guide was towards even lower fat products. Lower fat in products often meant more sugar (as fructose or high fructose corn syrup) being added to products such as yogourt, to help make up for the missing taste. Portions of nuts and seeds which contain heart-healthy monounsaturated fats were reduced in the ongoing push to lower all fat in the diet. There was a continued shift towards carbs as the main source of calories; not only from Breads & Cereals, but from Fruit & Vegetables too — and in this category, there was no distinction between starchy vegetables (such as potatoes, peas, corn, squash and yams) and non-starchy vegetables, such as salad greens or asparagus. As a result, a serving of sweet potato was categorized no differently than a serving of salad greens. Furthermore, a serving of fruit juice was considered equivalent to a serving of fruit; with no concern for the fact that there was no fiber in the juice and significantly more carbohydrates per serving. Carbs were perceived as “good” and fat was promoted as “bad”. As a result of these changes, under this new Canada’s Food Guide, one could have 3 glasses of juice, one serving of potato and a tiny salad and “meet” the guidelines. 2 servings Meat and Alternates – (1 serving = 2-3 oz lean cooked meat, fish or poultry or 2 eggs or 1 cup dried cooked legumes or ½ cup* nuts or seeds). Reference: Ballantyne, R.M., Bush, M.B. (1980). 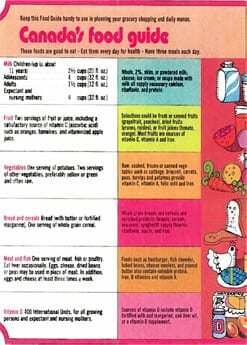 An evaluation of Canada’s food guide and handbook. Nutrition Quarterly, 4(1):1-4. In 1992, Canada’s Food Guide became Canada’s Food Guide to Healthy Eating. A new “total diet approach” aimed to meet both energy (calories) and nutrient requirements, resulted in large ranges in the number of servings in the four food groups. To meet higher energy needs, the Guide encouraged selection of more servings from the Grain Products and Vegetables and Fruit groups – resulting in an even higher percentage of carbohydrates in the diet. Grain Products were now 1st on list (5-12 servings! ); reflecting the shift that most of calories (45-65% of calories) were to come from carbs. Also in this Guide, cheese was categorized with milk and yogourt – even though other ways of accounting for food such as the Diabetic Exchanges, classify cheese with Meat and Alternates (and nut butters with fat). In 2005, there were even more changes to Canada’s Food Guide to Healthy Eating. This is the Guide currently in use in Canada. The numbers of servings were broken down based on stage of life and gender, but continuing the emphasis on high carbohydrate, low fat. There were different number of servings per day for children aged 2-3, aged 4-8, aged 9-13, adolescent girls (aged 14-18), adolescent boys (aged 14-18), men (until aged 50), women (until aged 50) and then men over 50 and women over 50. While Vegetables and Fruit were now put 1st instead of Grain Products, these could still be chosen as mostly carbs (potato, yams, other starchy vegetables, fruit, fruit juice), so with Grain Products put 2nd, carbs still formed the bulk of daily calories. *Note: starchy vegetables such as sweet potato and winter squash contain the SAME number of carbohydrates per serving as a serving of Breads and Cereals i.e. 15 g carbohydrate per ½ cup serving compared with non-starchy vegetables such as asparagus, broccoli and salad greens. Under this Guide, Vegetables and Fruit can contribute 105 g – 150 g carbs per day (400 – 600 calories per day) if chosen as starchy vegetables and fruit / fruit juice. The Guide recommends: “Drink skim, 1% or 2% milk each day” which overlooks the satiety (feeling fuller) effect of higher fat dairy. The Guide recommends: “include a small amount (2-3 Tbsp.) of unsaturated fat each day. This includes oil for cooking, salad dressing, margarine and mayonnaise. Use vegetable oils such as canola and soybean” resulting in the decrease of healthy-monounsaturated fats such as olive oil, nuts and seeds. Three meals AND a few snacks? What effect have these dietary recommendations had on obesity statistics? By 2007, that rate doubled to 29% of children and adolescents being overweight or obese. One has to wonder whether this dramatic increase in obesity and overweight after 1977 is correlated to Canada’s Food Guide shift to lower fat, higher carbohydrate diets. In my Dietetic practice, I give clients a choice of meal plan patterns because I don’t believe three meals and three snacks per day with 45-65% of calories as carbohydrate is the best way for people to address the matter of their excess weight. 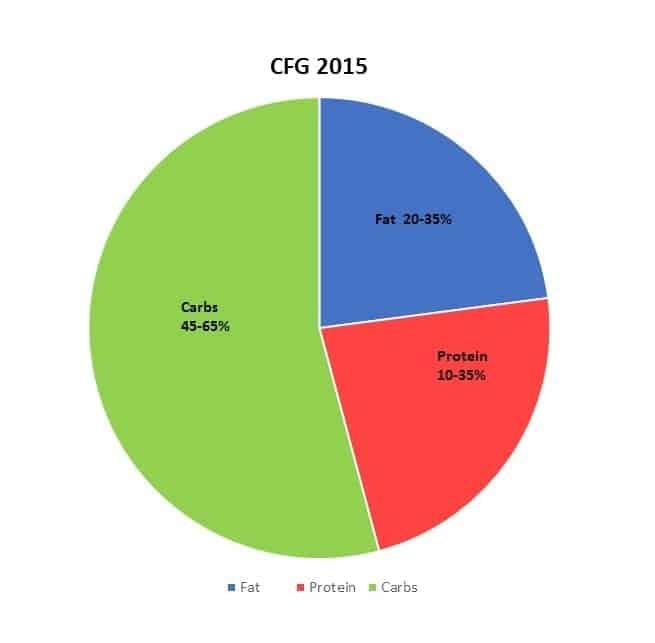 For clients that come to me insulin resistant and/or overweight, I explain based on the literature why I recommend a meal plan pattern based on full meals without snacks with most of the calories coming from heart healthy satiety-offering monounsaturated fats. When clients are able to eat until they are satisfied without feeling hungry between meals and without feeling deprived, they are able to lose weight naturally and relatively easily. Of course if clients want a meal plan based on the traditional 3 meals and 3 snack meal pattern I provide that for them using current recommendations. There is no question that both ways, people can lose weight and lower their blood sugars, but my interest as a Dietitian is not only to see people’s weight and blood sugar and cholesterol come down, but to also see them feeling good and being happy with the process. If you would like more information on the services I offer, please click on the Contact Us tab, above to send me a note. Canada’s Food Guide – an Epidemiological Experiment Gone Terribly Wrong? Health Canada released a statement this past Tuesday (May 19, 2015) implying they may change Canada’s Food Guide recommendations. Their statement came just a week after a Canadian Medical Association Journal released a report a week earlier (May 11, 2015) summarizing some of the criticisms of the Guide made by healthcare professionals who presented at the Canadian Obesity Summit in Toronto at the beginning of May. One of the criticism included Health Canada’s current endorsement of 100% juice as equivalent to a serving of fruit. Canada’s Food Guide (officially called Eating Well with Canada’s Food Guide) recommends that Canadian adults consume up to 10 servings of fruit and vegetables a day (depending on age and gender) and with a half-cup of juice counting as a single serving, it’s easy to see how a person might drink a few cups of fruit juice a day in order to try and meet that requirement. The problem arises that even a single glass of orange juice can put you over the daily sugar limit recommended by the World Health Organization (WHO). In March, the World Health Organization (WHO) released a report entitled Guideline: Sugars intake for adult and children where it concluded that the world was consuming too much sugar and recommended that people cut their intake of sugar to the equivalent of just six to 12 teaspoons per day. Many popular brands of 100% orange and apple juice sold in Canada contain as much as five teaspoons of sugar per serving so it’s easy to see that if the public is trying to meet their 7-10 servings of fruit and vegetables by drinking juice, they will be way over the WHO’s daily sugar limit. A study from the UK that was just published 2 weeks ago in the European journal Diabetologia linked daily consumption of sweetened drinks including so-called “healthy” beverages like sweetened milk and fruit juice with increased diabetes risk. The study found that for each 5% increase of a person’s total energy intake provided by sweet drinks (even so-called “healthy ones” like chocolate milk and 100% juice) that the risk of developing Type 2 diabetes could rise by 18 %. The study also found that by replacing one sweetened drink with water or unsweetened tea or coffee per day could help cut the risk of developing diabetes by as much as 25%. This most recent statement from the director of the Office of Nutrition Policy and Promotion Hasan Hutchinson said the department is currently “reviewing the evidence base for its current guidance” to Canadians and that “depending on the conclusions of the scientific review, guidance for consumption (quantity and frequency) of various foods, including juice, could be updated in the future”. In my opinion, consumption of 100% fruit juice as equivalent to a serving of Vegetables and Fruit is not the only aspect of Canada’s Food Guide that Health Canada needs to re-evaluate. Shift to a Carbohydrate-based Diet; how has that worked out? Prior to 1977, Canada’s Food Guide recommended no more than 5 servings of bread or cereal per day for adults and now recommends 6-7 servings per day of Grain Products for women and up to 8 servings of Grain Products per day for men. In 1961, Canada’s Food Guide recommended only 1 serving of citrus fruit (as fruit) or a serving of tomatoes daily & only one other fruit. Now adults can have any of the recommended 7-10 servings of Vegetables and Fruit per day as fruit (or juice). Even as actual servings of fruit, current recommendations can be chosen as 4-5 times the amount of fruit as in in 1961. Since 1977 and in ever increasing amounts, Health Canada has shifted their recommendations away from healthy fats and low carbohydrate diets, towards diets where carbohydrates form the main source of calories. Current recommendations are for 45-65% of calories to come from carbohydrate and only 20- 30% of calories from fat. Our society has become “fat phobic” thinking all sources of fat are “bad”. People drink skim or 1% milk and eat 0% yogourt and low fat cheese; all the while making sure to have “enough’ carbohydrates; 6-8 servings of Grains Products (including bread, pasta and rice). Hidden as Vegetables are even more carbohydrates as the 7-10 servings of Vegetables and Fruit which are recommended for an adult to eat makes no distinction between starchy vegetables (like potatoes, yams, peas and corn) and non-starchy vegetables (like salad greens and asparagus or broccoli). People can literally eat all their Vegetable and Fruit servings as carbohydrate laden starchy vegetables and fruit and “meet” Canada’s Food Guide! Canadians are encouraged to fill themselves up on toast or cereal for breakfast, sandwiches or rice for lunch and pasta or pizza (with “healthy toppings”) for supper; all in an effort to “meet” Canada’s Food Guide. At the same time, people have been conditioned to avoid fats because they believe that fat is “bad”; while making no distinction between healthy fats from avocado, nuts, seeds and fatty fish and fats from chemically cured bacon and nitrite- laden sausage. What Has Happened to Canada’s Obesity Rates since 1977? In ever increasing amounts, Health Canada has recommended that we avoid fat and get 1/2 to 2/3 of our calories from carbohydrates? 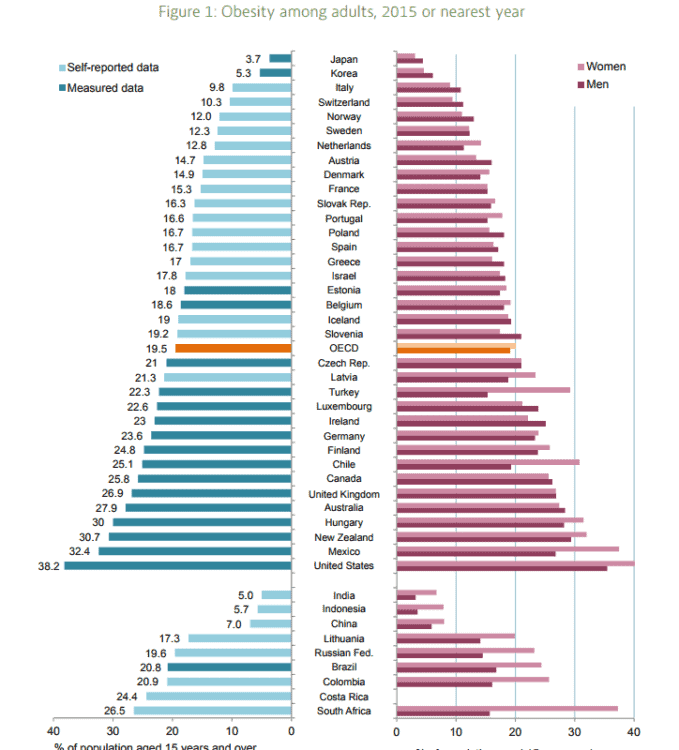 How has Canada’s obesity rate changed since then? By 2007, 29% of children and adolescents were overweight or obese. By 2011, just the obesity prevalence for boys was 15.1% and for girls was 8.0% in 5- to 17 year olds. The prevalence of obesity [body mass index (BMI) ≥30 kg/m2] in Canadian adults increased two and a half times; from 10% in 1970-72 to 26% in 2009-11. In 1970-72 7.6% of men and 11.7% of women were considered obese. In 2013, 20.1% of men and 17.4% of women were considered obese. And looking at waist circumference rather than BMI, 37% of adults and 13% of youth are currently considered abdominally obese. So how has Health Canada’s recommendations of a high carbohydrate low fat diet been working out? Certainly there must be a better way? In the meantime, if you would like to learn a better way to think about food why not contact me? I can help you begin to tackle overweight or obesity in a way that encourages eating healthy fat and which are supported by current research literature. I can also help you learn which sources of carbohydrate provide the best nutrition to meet your daily recommended nutrient intake for vitamins and minerals as well as how to eat in a way that can begin to tackle one of the main issues associated with being overweight; that of insulin resistance. Click on the “Contact Us” tab above, to send me a note. Nutrition Division, National Department of Health and Welfare (1961). Rules out – guide in. Canadian Nutrition Notes, 17(7):49-50 (cited in Health and Welfare Canada. Action towards healthy eating: technical report. 1990).